New Relic Founder and CEO Lew Cirne has done and seen a lot in his IT lifetime, and every bit of it influences how he approaches New Relic, both as a technology and a company. We profiled the popular cloud-based web-application performance management (APM) startup in October, and it has only grown since then — up to about 7,000 customers from about 5,600 — and ultimately doubling tripling its revenue in 2010. Cirne says the company, which launched in 2008, should be cashflow positive by the end of this year. Today, New Relic added support for Amazon’s Elastic Beanstalk PaaS offering, which is now the ninth public cloud (including Amazon EC2) with which New Relic has partnered. Here’s how Cirne has been able to do so much with New Relic in so little time. 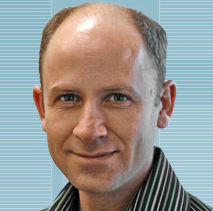 Cirne began working at Apple (s appl) in 1992 as a software engineer. Although the company then was nowhere near what it is now, Cirne was nonetheless impressed with Apple’s product-first approach to selling technology. Unfortunately, he explained, in the ’90s, the IT pendulum swung toward companies with the strongest sales forces, not necessarily those with the strongest products. Indeed, even when Cirne launched his own company, Wily, in 1998, he relied heavily on a big sales team despite what he believes was a very strong product. Of the hundreds of employees at Wily, Cirne estimates that about 15 actually wrote code. In 2006, Cirne finally had his chance to embark on this journey, after CA Technologies (then Computer Associates, Inc.) bought Wily and made it a key component of the CA application performance management portfolio. Cirne lasted about a year as CTO of CA’s (s ca) Wily division before leaving to do his own thing. Wily hasn’t faded away under CA’s watch; the last Cirne heard, the Wily business has grown several times larger since 2006. Cirne was “noodling on” New Relic (an anagram of his name) around the time he joined Benchmark Capital as an entrepreneur-in-residence in Jan. 2008. He was trying to figure out what he could have done differently to have kept Wily independent and grow it into an entity strong enough to stand on its own over the long haul. The plan was to work at Benchmark for about six months before securing funding for New Relic, but friend and Benchmark General Partner Peter Fenton convinced him to take funding and launch New Relic just a tad sooner. As Cirne recalls, his tenure as an EIR lasted about three days. With New Relic, Cirne and his team — which, as of October, included only three sales people — are able to focus on the product without worrying about getting more money to keep operational or constantly growing a sales team that has to knock on doors all over the country. With a freemium SaaS model, Cirne says, New Relic sells itself, and the ease of use means there’s no real need for users to engage with company in order to get started. He compares New Relic to cell phones in the early ’90s: They offered less coverage than satellite phones, but also were less expensive and more broadly applicable. Like most true SaaS products, New Relic focuses on simplicity and great core features while ignoring, at least initially, all the bells and whistles that made legacy applications so difficult to master. If Cirne ever does step down, he thinks the right time might be as New Relic approaches the billion-dollar mark. He wouldn’t disclose New Relic’s earnings, but acknowledged that although a billion-dollar run rate is a ways off, he truly does think it’s a possibility. Cirne believes that 80 percent of web applications will utilize SaaS for APM, and with support for Java (s orcl), Ruby, PHP and .NET, New Relic is poised to snag a lot of them. It’s also, really, the only SaaS-borne APM product on the market right now. These two trends — a move toward being application-centric and a move away from managing infrastructure — represent a golden opportunity for New Relic, Cirne said, and he thinks the product is good enough, and the company economically efficient and flexible enough, to grasp it. Already, he noted, the company has been confident enough otherwise very-appealing acquisition offers. If Cirne really has learned the right lessons while working his way through IT trends over the past 20 years, those could prove to be very wise decisions. Images courtesy of New Relic. Front page image courtesy of Wikipedia Commons contributor Xbxg32000. 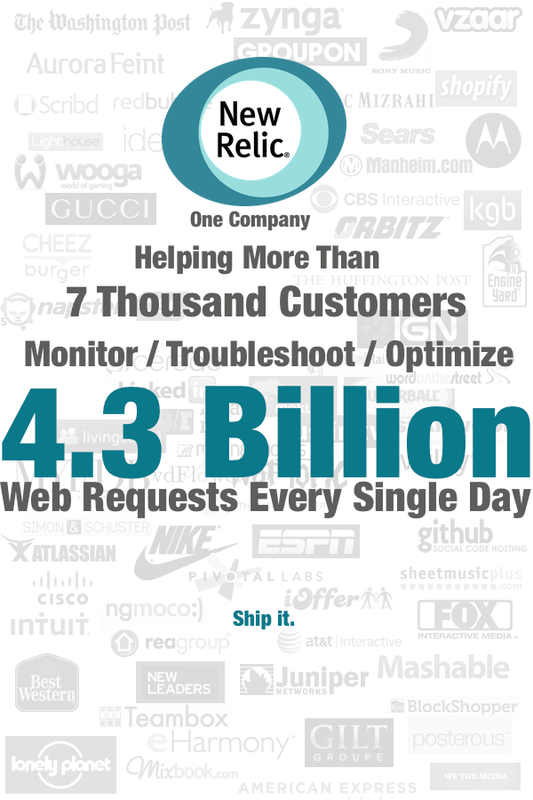 NewRelic is a great inspiration within the SaaS market place. Probably one of the first SaaS offerings which are not web replacement for desktop applications. Their success in the market paves the way to many other sophisticated SaaS offerings. Interesting interview, I think the question is whether such SaaS models (Especially freemium) overcome the tough first stages (many free or low cost customers, infrastructure and online marketing expenses) without such significant investments (>1-2 mil). As a company going through that stage right now, even with positive initial success, its difficult.